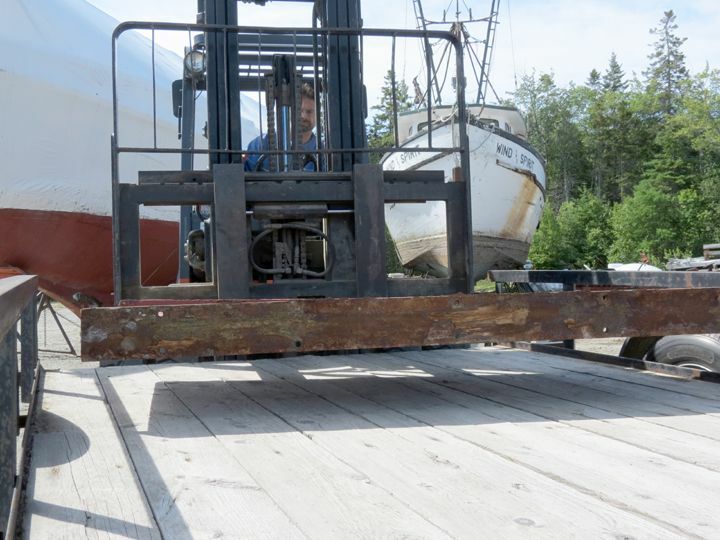 To make the final move of “ElizaLin” from The Hinckley Company to my backyard, (Using a hydraulic trailer. 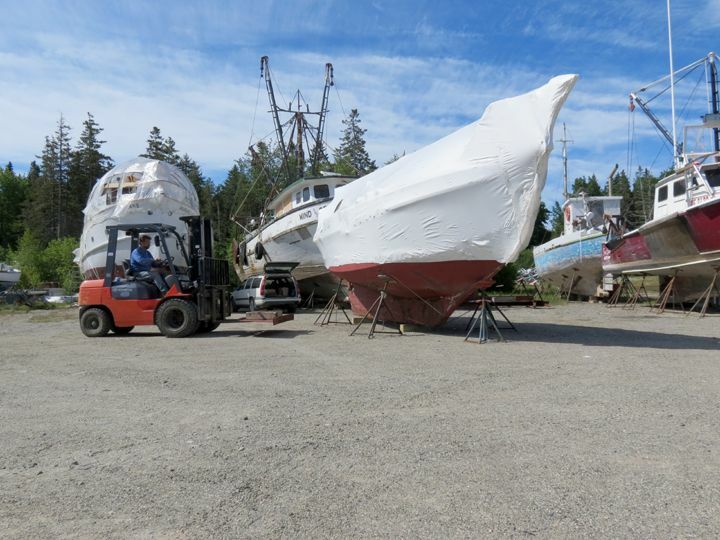 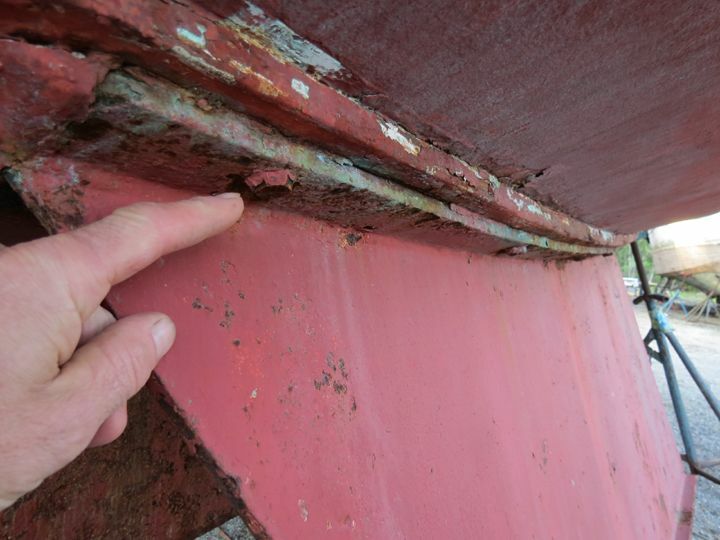 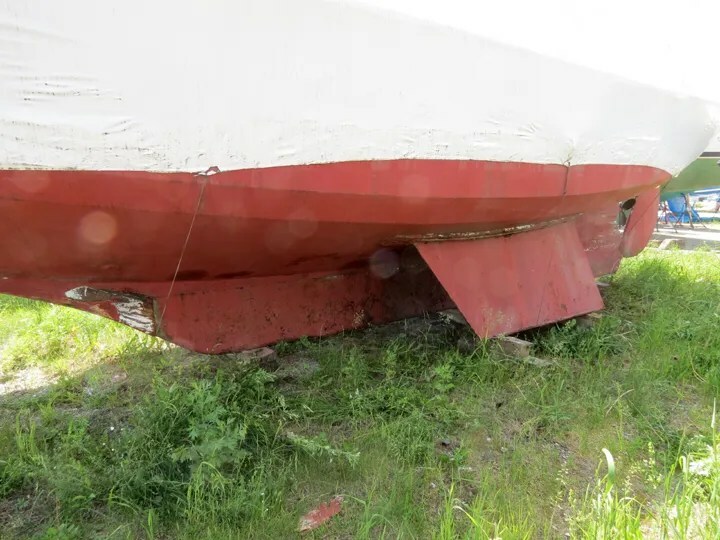 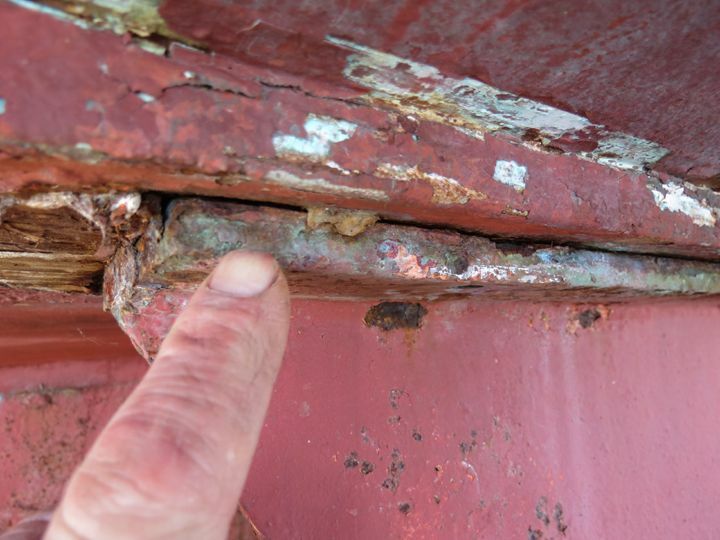 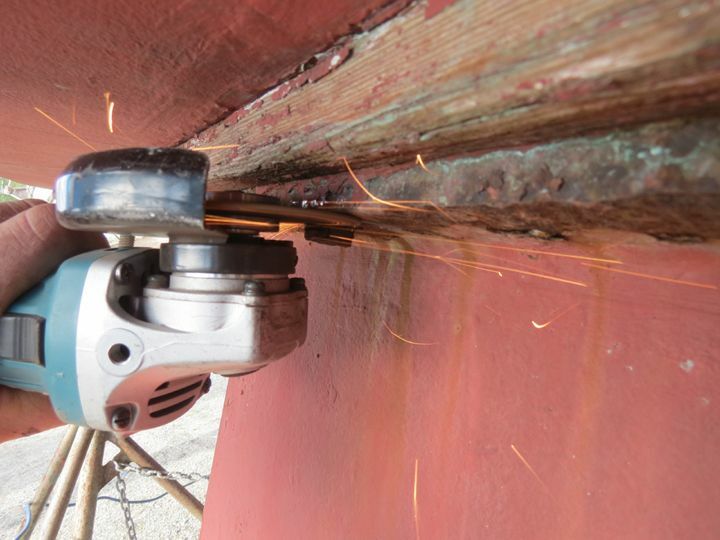 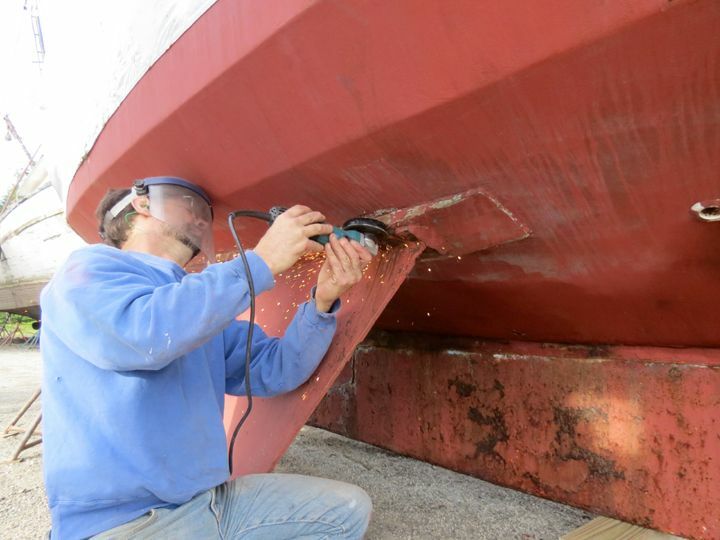 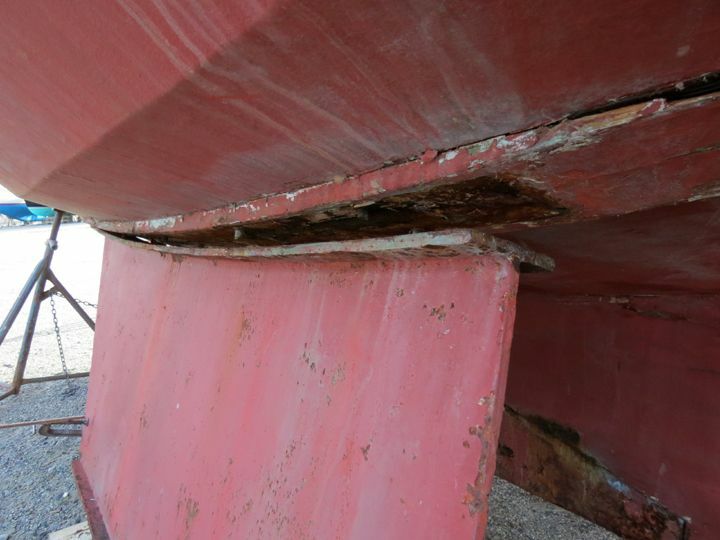 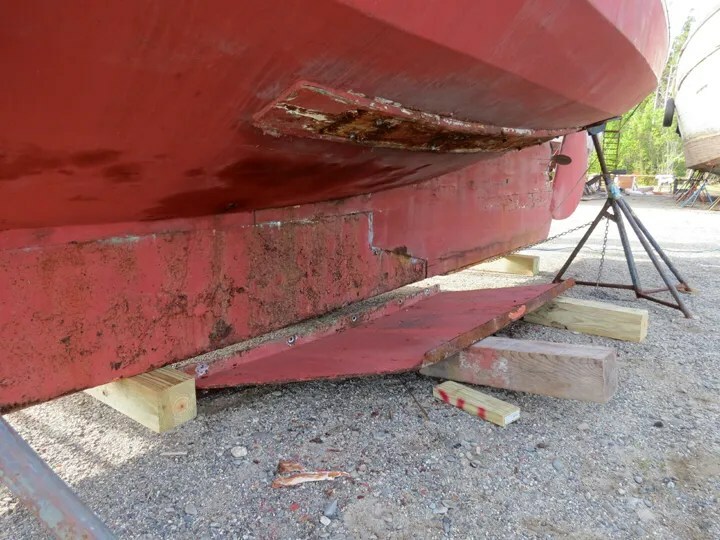 ), the Bilge Plates had to removed from the exterior of the hull. 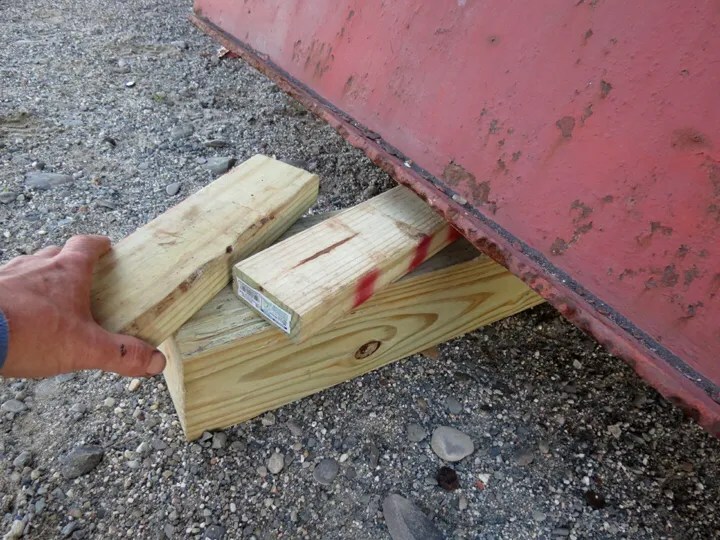 Because I had already planned on doing this, (The “shoes” that support the attachment of the Bilge Plates to the hull need to be replaced. 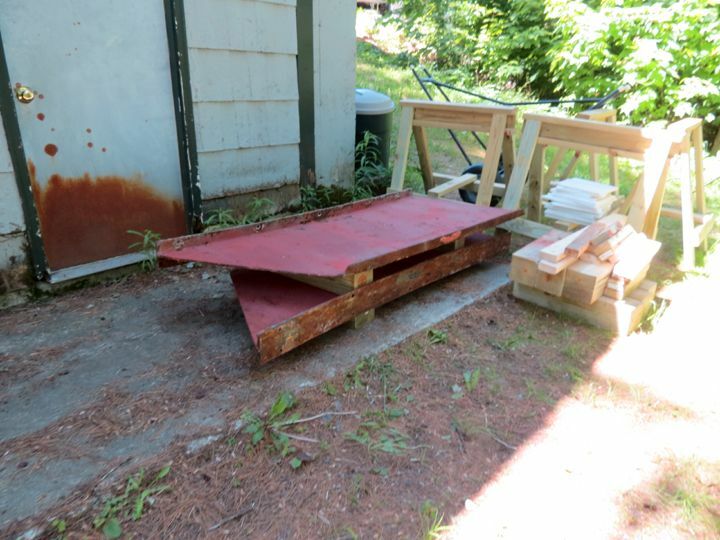 ), I decided to tackle this job the “quick and dirty” way. 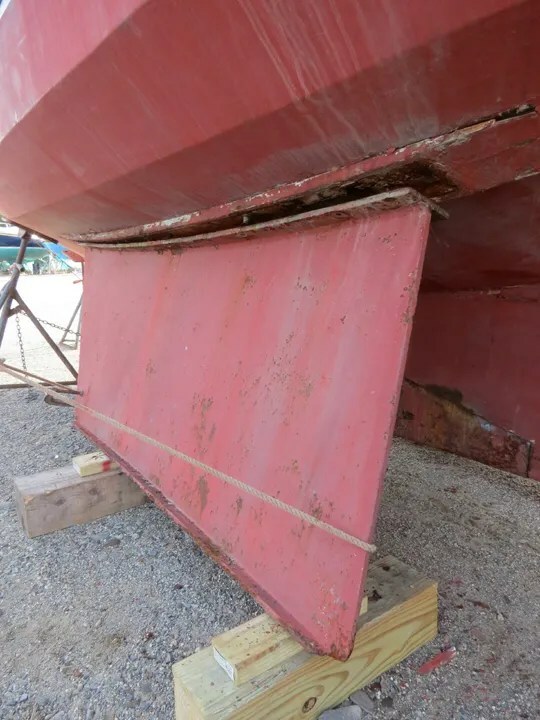 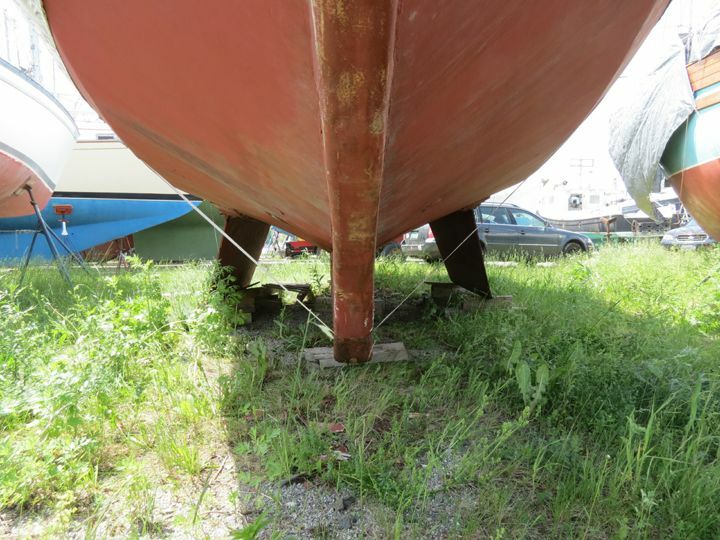 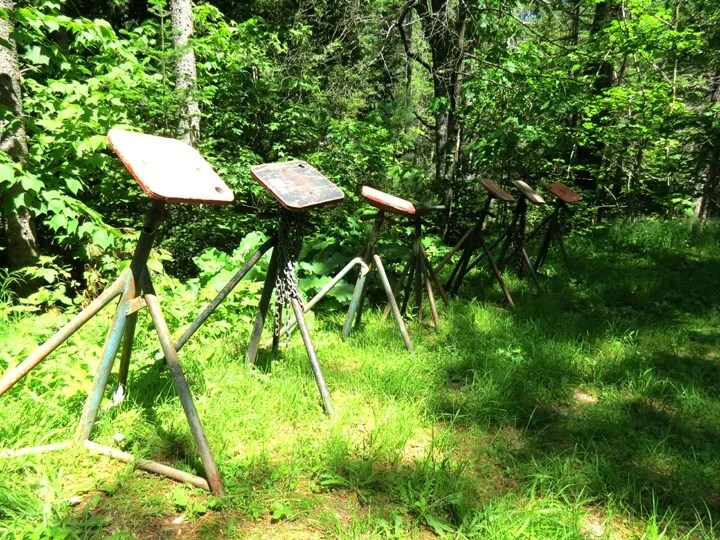 Below are two images that show the Bilge Plates. 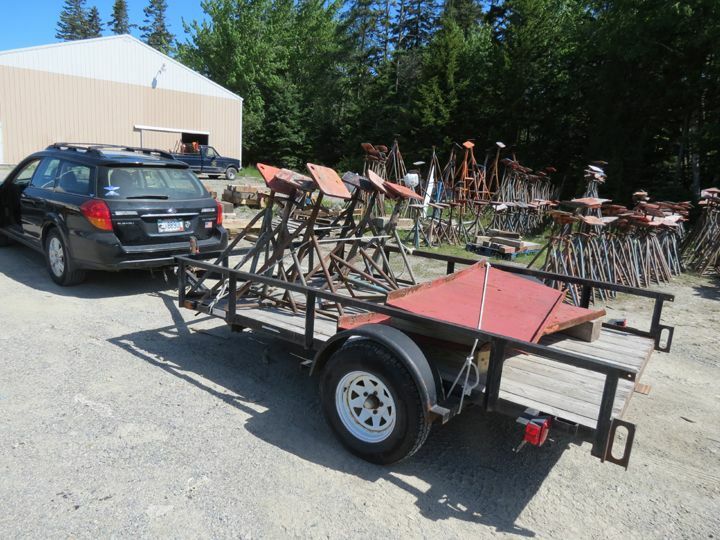 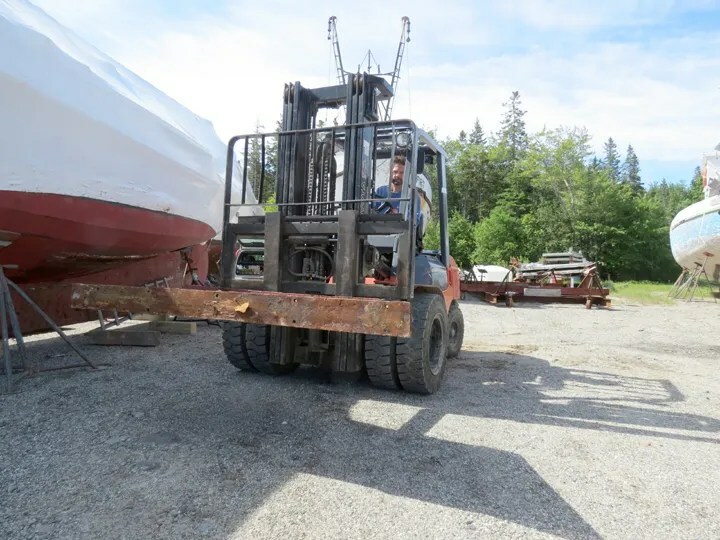 Their location conflict with the “lifting arms” of the hydraulic trailer that will be used to move the sailboat into my backyard. 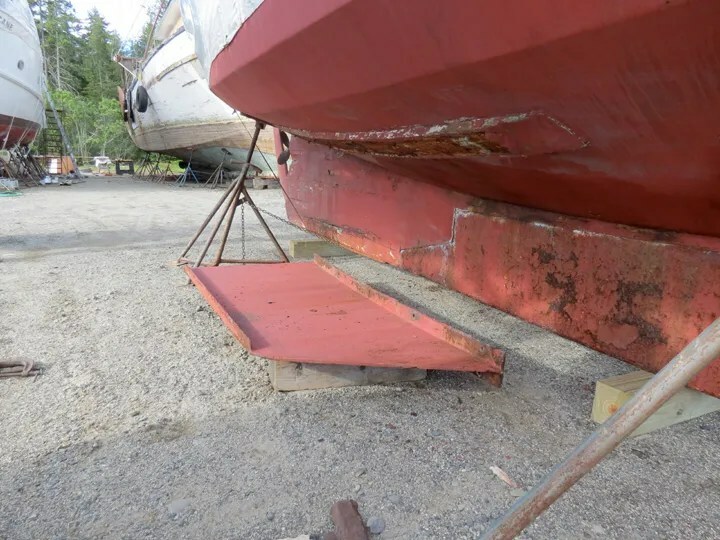 I made the decision to cut the heads off of the bolts that are used to fasten the Bilge Plates to the hull, and just let the plates fall to the ground. 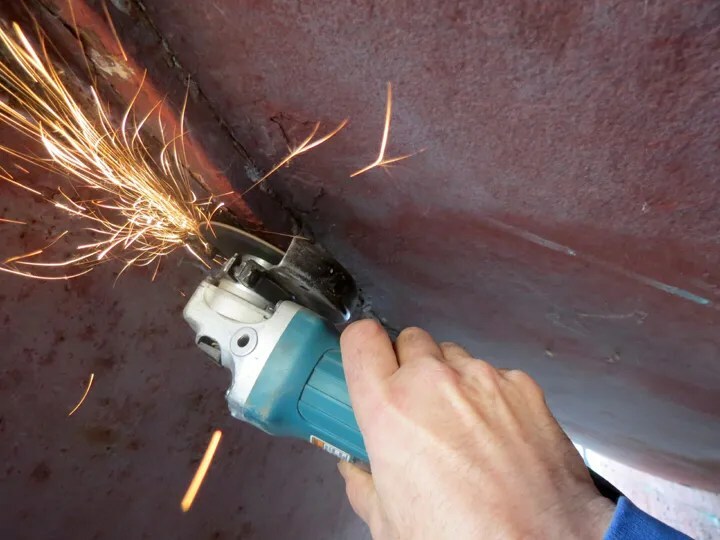 I used one of my Makita grinders that had a “cut-off” wheel mounted to it, and another Makita grinder that had a grinding wheel mounted to it, (To remove remaining burrs from the cutting process.). 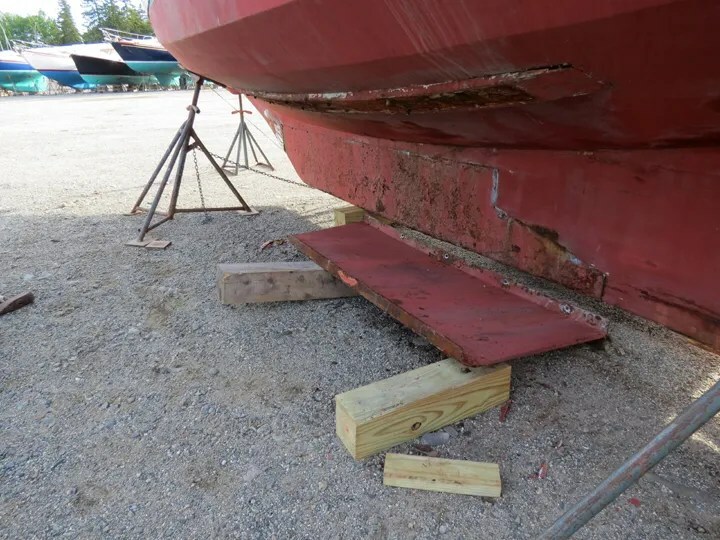 There were 10 bolts per Bilge Plate. 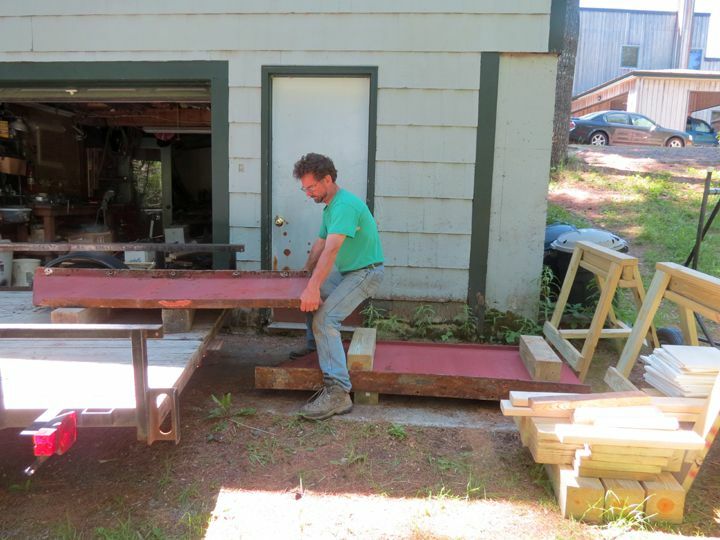 Five on the inside and five on the outside of each plate. 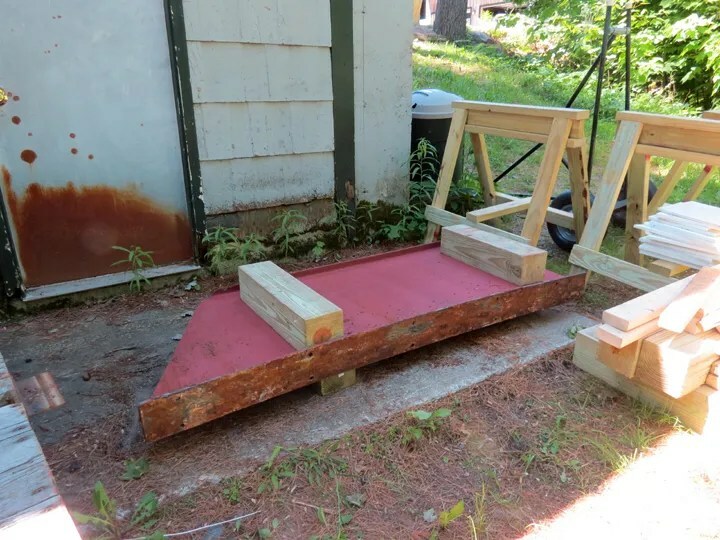 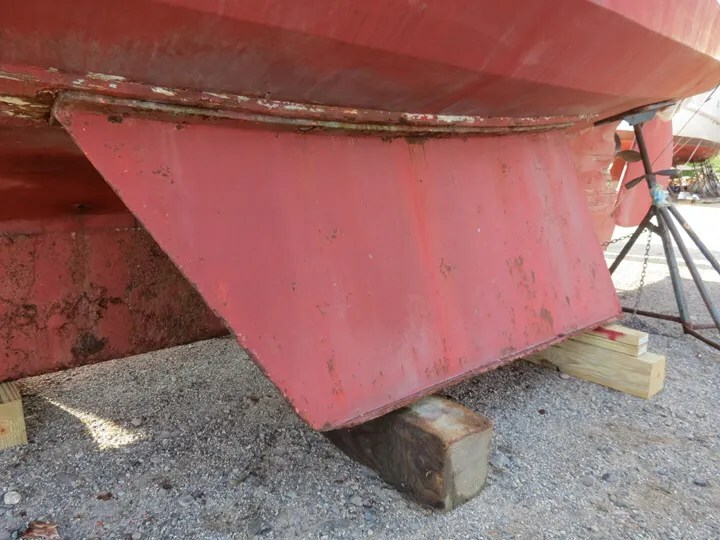 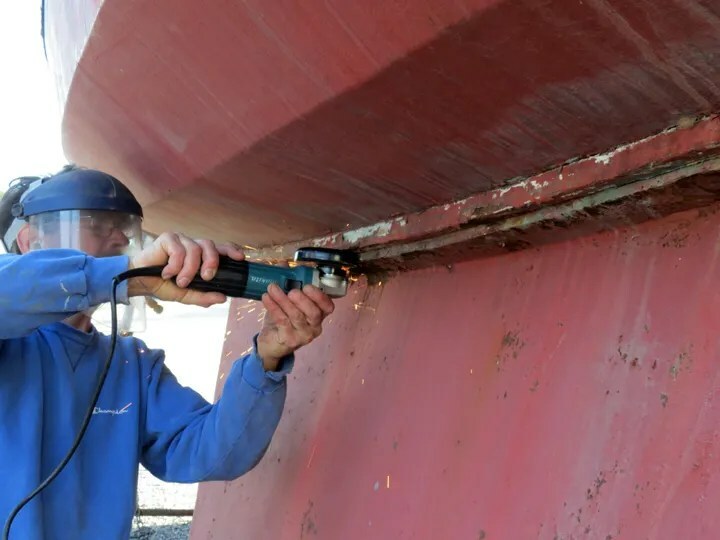 When I had the heads of the bolts cut off of the port Bilge Plate, I loosened the jackstands on the starboard side of the hull and tightened up the two jackstands on the port side of the hull. 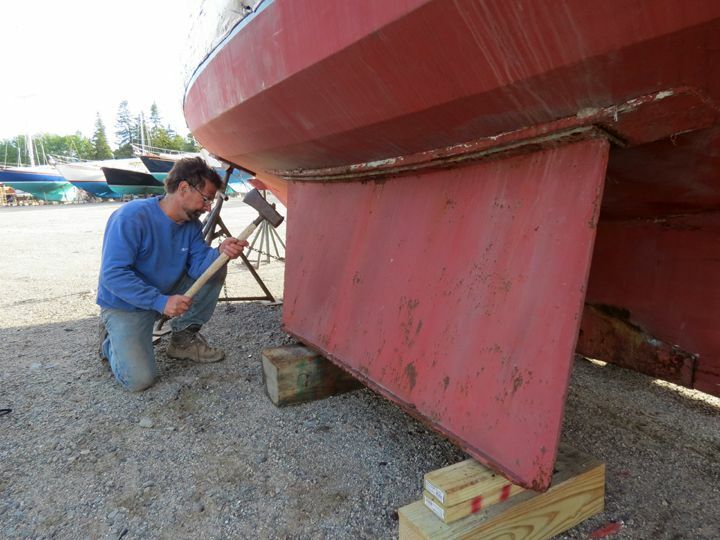 Doing this, lifted the port Bilge Plate off of the blocking it was resting on. I set up more blocking underneath the Bilge Plate. 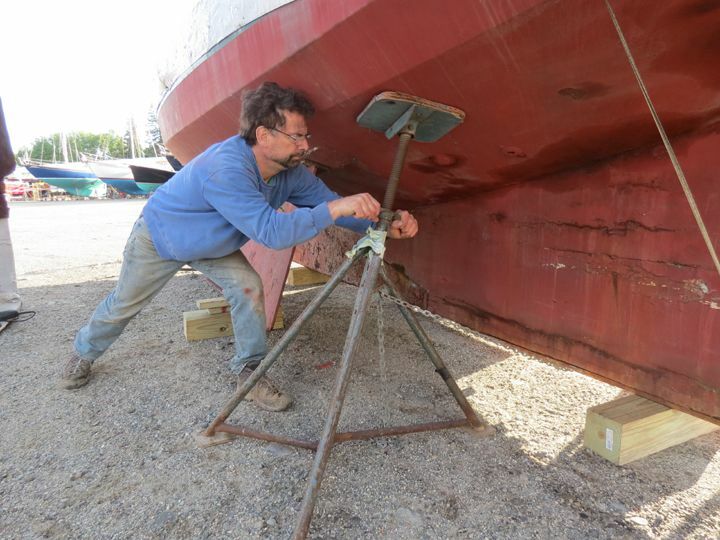 Then, using the blunt end of a maul, I pounded on the bottom flange of the Bilge Plate. 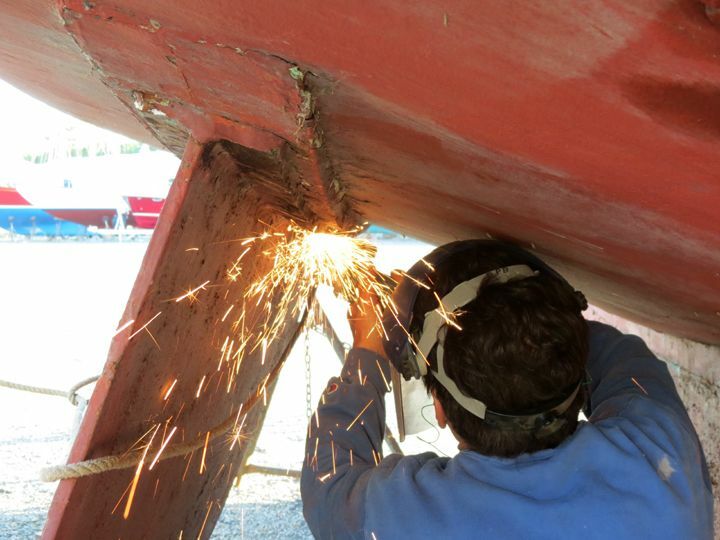 The Bilge Plate began to yield to the blows with the maul. I repeated the process on the starboard Bilge Plate. 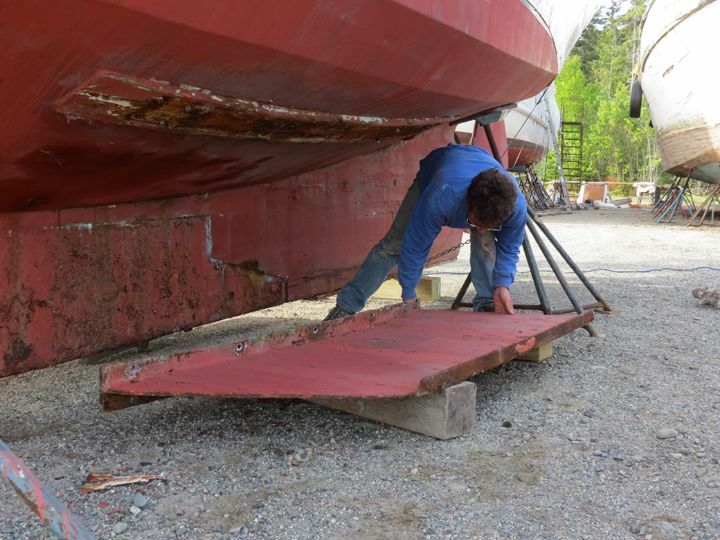 This one took only 30 minutes to get it off of the hull! 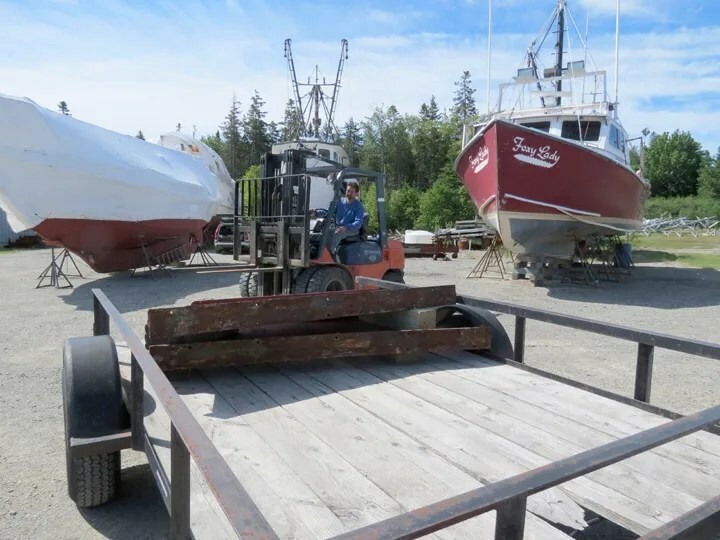 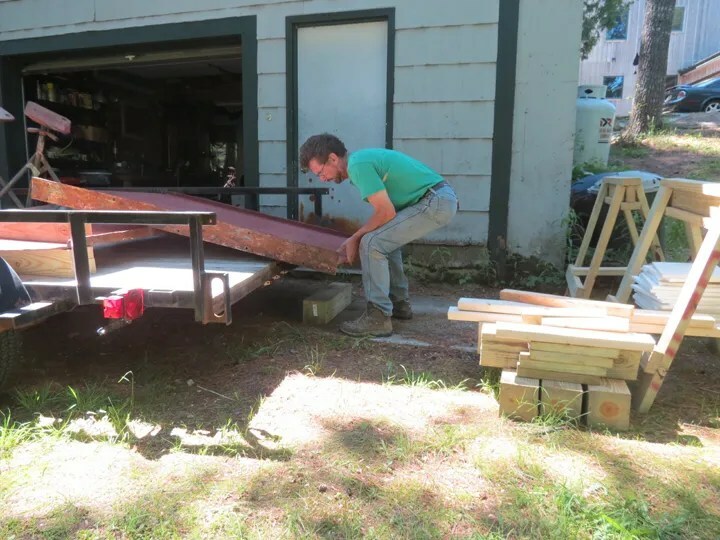 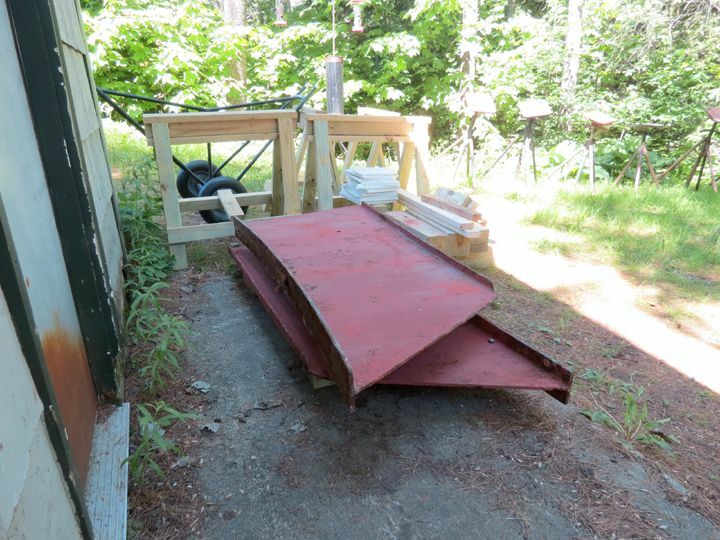 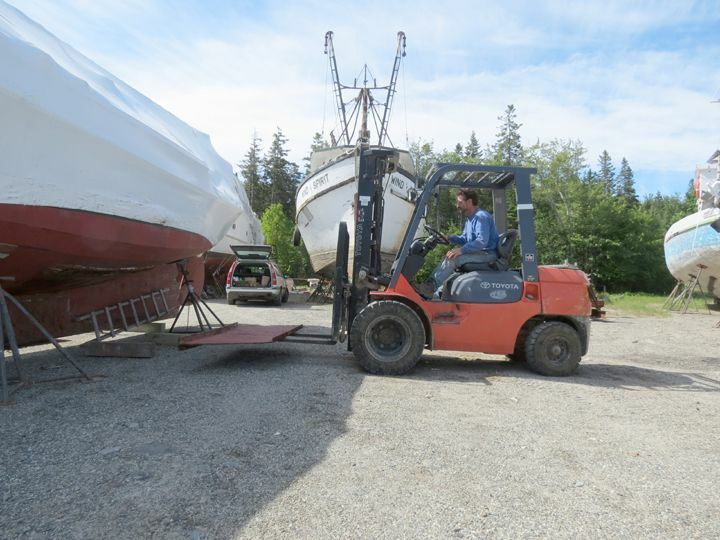 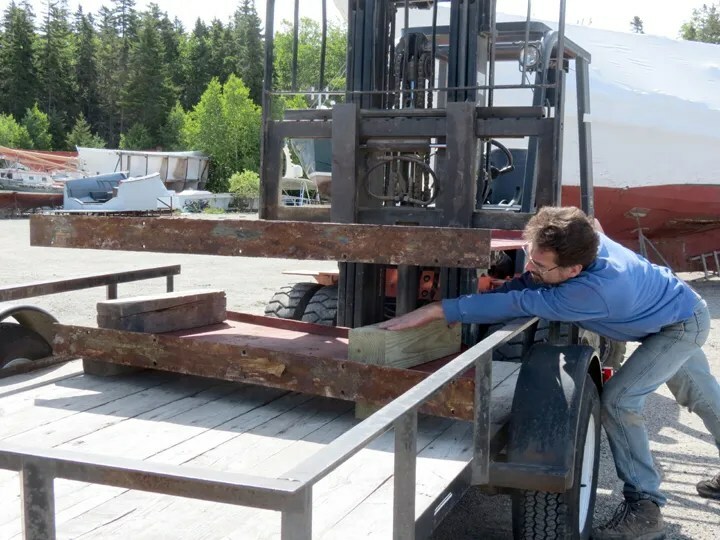 Then, I used a forklift to load the Bilge Plates into a trailer to haul them back to my house. 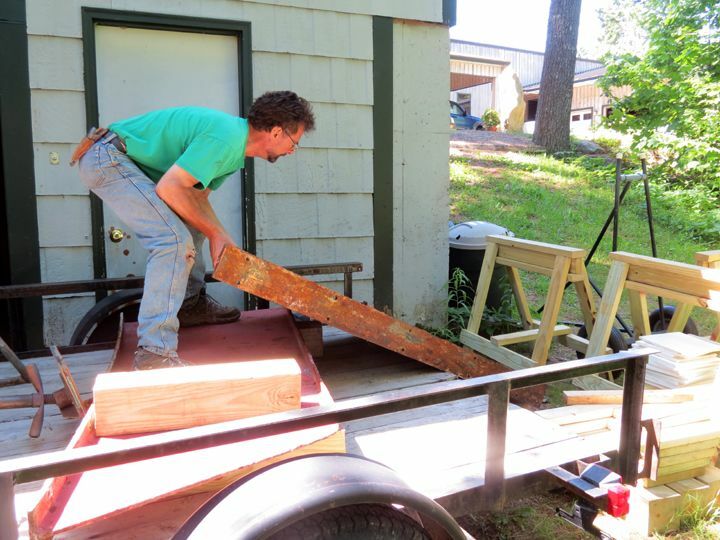 Unloading the trailer back at home.